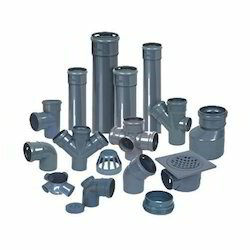 Pioneers in the industry, we offer swr fittings and commercial swr fittings from India. 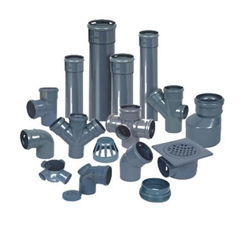 By keeping our synchronisation with the developments taking place in this business spectrum, we are engrossed in presenting a top notch consignment of SWR Fittings. These are well tested in order to ship a defect free consignment at the end of our patrons. SWR Fittings include an extensive range of Soil, Waste and Rainwater plumbing products for commercial, industrial, housing and public sector developments, all built on the strength of our quality and innovation. Ashirvad systems include solvent-weld and push-fit options for both soil, waste and rainwater drainage. Looking for SWR Fittings ?